Despite being only 150km from Barcelona on the main road to Madrid and with high-speed train links to both cities. 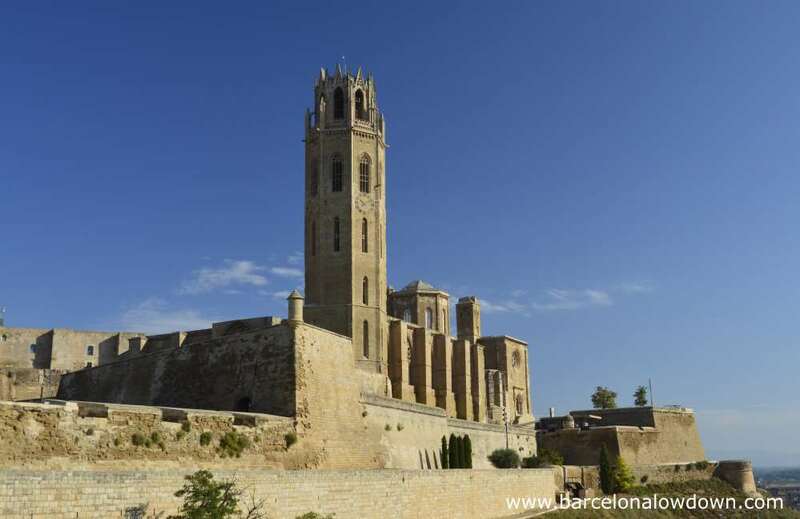 Lleida is one of those places which just tends to get overlooked. Certainly I’ve driven past on numerous occasions without ever giving it so much as a second glance. Earlier this month my partner and I decided that it was time to bite the bullet and spend a weekend there. What we found was a lively and attractive city with plenty to see and do, most of which is within easy walking distance of the centre. 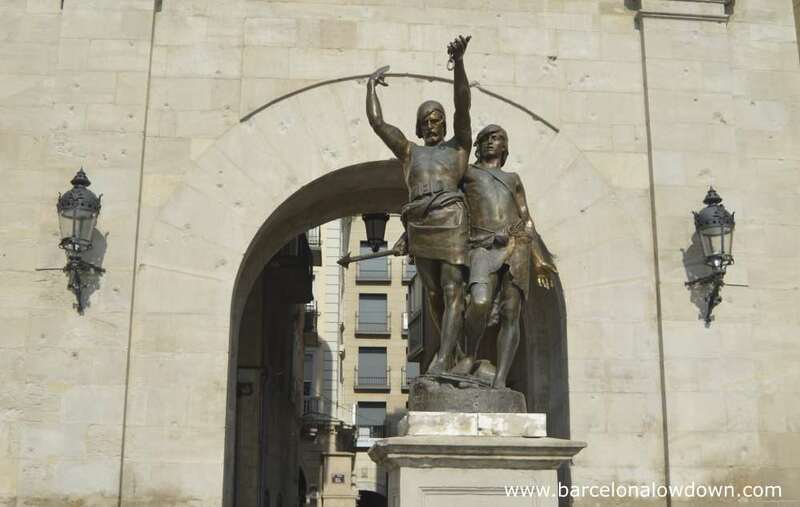 Lleida was first inhabited by native Iberian tribes called Ilergetes during the sixth century BC. By the second century AD the city had been taken over and fortified by the Romans, later succeded by Vizigoths. In 716 AD Llieda fell to the Moors who took just 15 years to conquer the entire Iberian peninsula. 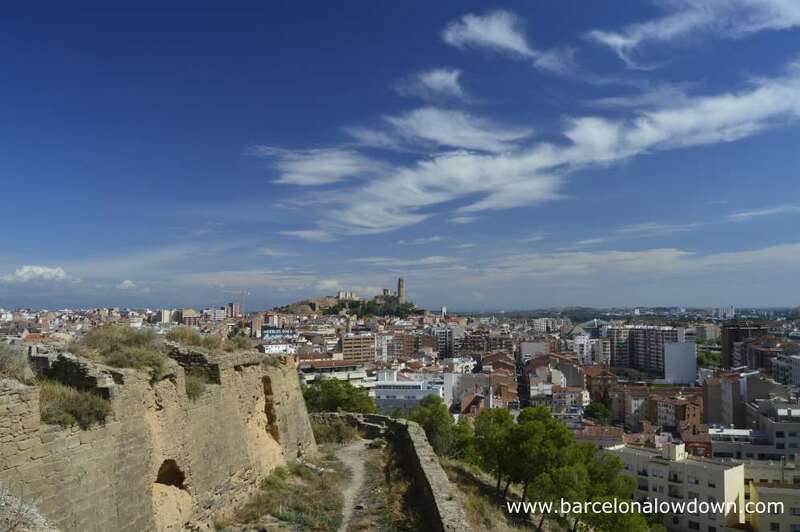 The city remained under Moorish control until 1149 when, after 7 months of siege, it was surrendered to the troops of Ramon Berenguer IV of Barcelona. Since then Lleida has undergone cycles of boom and bust, repeatedly being destroyed and then rebuilt. First by the Guerra dels Segadors then the War of the Spanish Succession, followed by the Napoleonic Wars and finally the Spanish Civil War. The result is a modern city (population 140,000) with a historic city centre whose buildings date from the 12th to 20th centuries and which is dominated by the imposing Seu Vella. First stop is the Tourist Information office at Carrer Major 31 to pick up a map, check whether the Ho-Ho bus is running and get a timetable (more on that later). Alternatively you can download a map here or use the one at the end of this post. 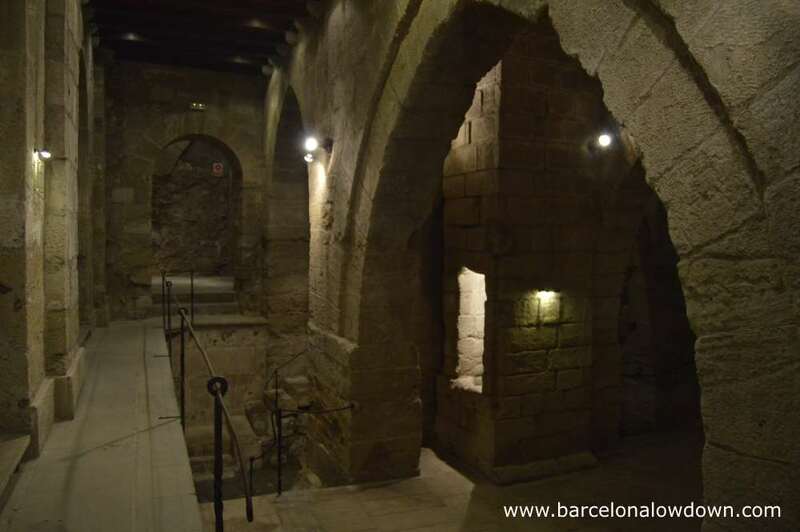 Take the glass fronted lifts from Plaça de Sant Joan up to La Seu Vella. 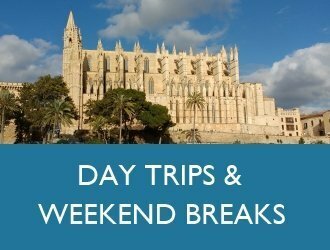 The site includes the Romanesque Cathedral of St Mary of La Seu Vella with it’s 60m high bell tower and beautifully decorated open cloisters, the 13th century Castle of the King and extensive fortifications which were added during the 17th and 18th centuries. Entrance costs €7 (discounts for children and seniors) and guided tours are available. There is also an APP in the Google Play Store and a tablet lending service as well as QR codes with information about the War of the Spanish Succession. All available in English. 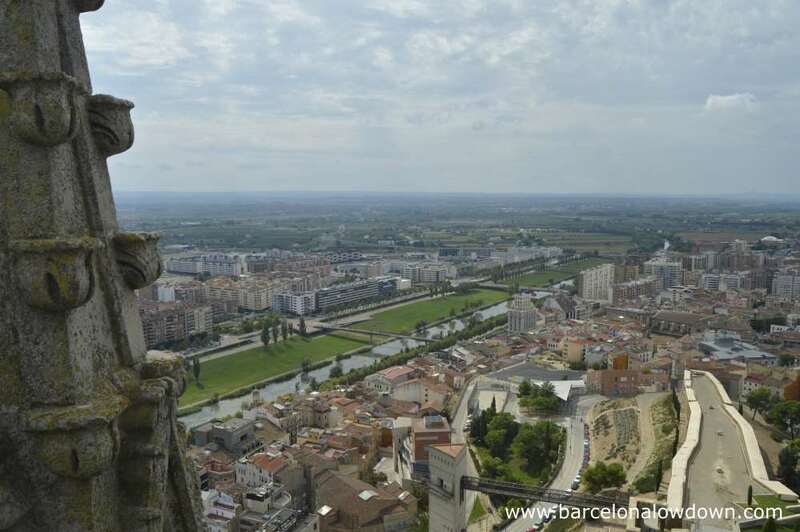 Everywhere you look there are great views over Lleida and the surrounding countryside. If you are up for a bit of exercise I recommend climbing the 238 narrow stone steps to the top of the bell tower. Lleida’s 3.4km long Carrer Major is claimed to be one of the longest pedestrianised streets in Europe. I’m not sure how stiff the competition is but Barcelona’s famous La Rambla is less than half as long (1.2km). Unlike La Rambla, which has become a crowded tourist trap, Carrer Major is a pleasant shopping street dotted with interesting buildings. The local council has made excellent use of the potential offered by smartphones. There are information posts with QR Codes in front of all buildings of historic or architectural interest. Scanning the QR codes opens a link to a free audio guide in English, French, Spanish and Catalan. 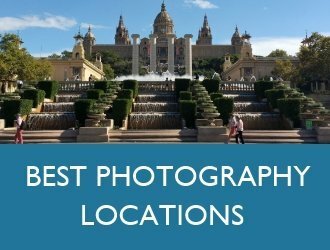 Interesting buildings on Carrer Major include: The 18th century “New” Cathedral, the 16th century Hospital de Santa Maria, El Palau de la la Paeria (Town Hall), El Peu de Romeu and The Plaça de Sant Joan as well as several Modernista style buildings. 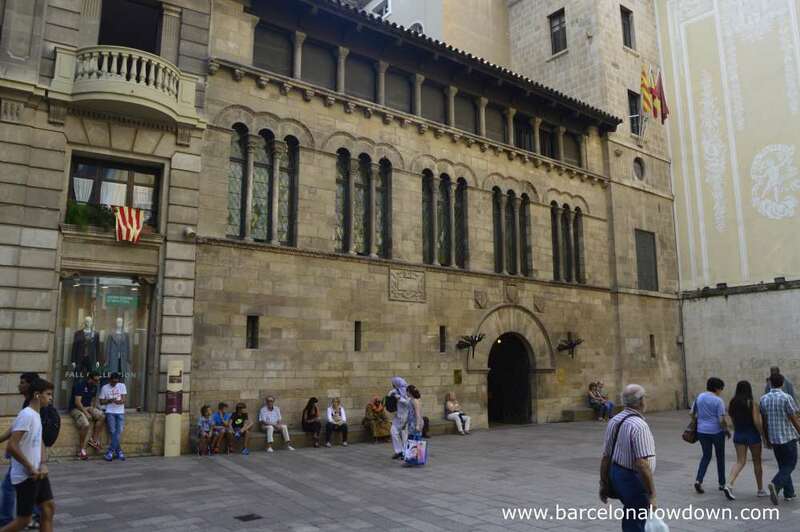 Lleida’s Gothic Town Hall was built in the 12th century and has as Romanesque façade with typical semicircular arches. The basement includes the remains of 2 Roman walls and the medieval prison complete with 16th century graffiti carved by inmates. It’s not very well indicated but entry is free, just say “Hola!” to the policeman and follow the staircase down to the “masmorres”. The 16th century hospital with it’s attractive Gothic style patio is now used by the Institut d’Estudis Ilerdencs to host art exhibitions. 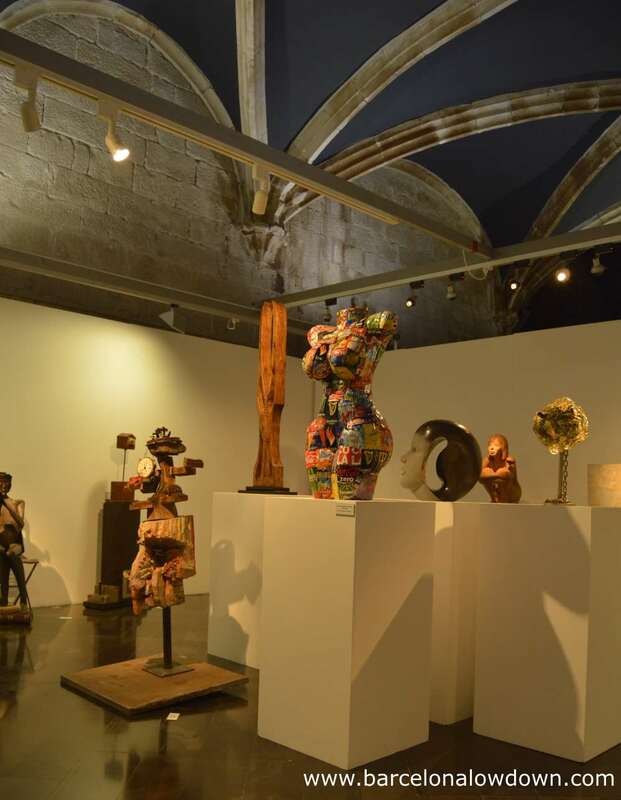 There are 3 halls which currently house an interesting display of photos of Barcelona from the 1960s, a collection of sculptures and “Untitled Exhibition(ism)” by Spanish artist Miguel Andrés. Free entry from Tuesday to Sunday, closed Mondays. Gardeny castle was built by the Knights Templar after Ramon Berenguer IV gifted them the hill as a reward for helping him liberate Lleida from the Moors in 1149. The castle is quite small but is well worth visiting. There is an excellent multimedia tour explaining the history of both the castle and the Knights Templar. The tour takes about and hour to complete: 40 minutes inside the castle with a series of dioramas and videos, 20 minutes exploring the castle and grounds with an audio guide. The visit to the castle with multimedia tour costs €2,60 and is included FREE with the open top Lleida bus tour (see below). 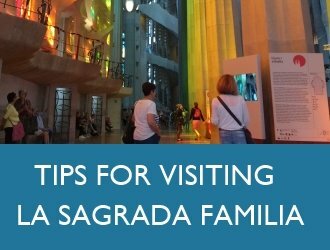 When we visited the audio guide was only available in Catalan and the videos were in Spanish. Hopefully other languages will be available soon. The banks of the River Segre have been converted into a park with a footpath running parallel to the river, several bridges and great views of the old town and the Cathedral. Next to the river is a formal park called the Camps Elisis which opened in 1864 and was (as it’s name suggests) modelled after French parks of the era. Although nice and shady, to be honest, the park is a bit run down and not overly worth visiting unless you are really into parks. A better option might be the Parque Natural de la Mitjana which is a small nature reserve on the outskirts of the city that’s popular with the locals. Unfortunately we didn’t have enough time to visit the latter. Of the non-veg restaurants we ate in the one which best catered for vegetarians was Bar Roma at Carrer del Bisbe Messeguer 1. The bar is popular with the locals and serves a selection of bocadillos, torrades (Catalan toasties) and tapas and has a good variety of dishes which are suitable for vegetarians. Prices are very affordable and servings generous. Check out their facebook page here. If you aren’t vegetarian then you’ll probably want to try the local speciality of snails which seemed to be available in most restaurants. We stayed at Hotel Real which we chose because of it’s combination of ideal location and competitive price. We treated ourselves to a “superior double room” at the front of the hotel which had a good sized balcony overlooking the river Segre. The room was quite large and spotlessly clean. The free WIFI worked well and the hotel staff were friendly and efficient. Both high speed and regional trains make the trip from Barcelona to Lleida, the price varies accordingly. AVE takes 57 minutes and costs €42.60* Rodalies (R13 & R14) Takes a little over 3 hours and costs €13. Other services are somewhere in between. 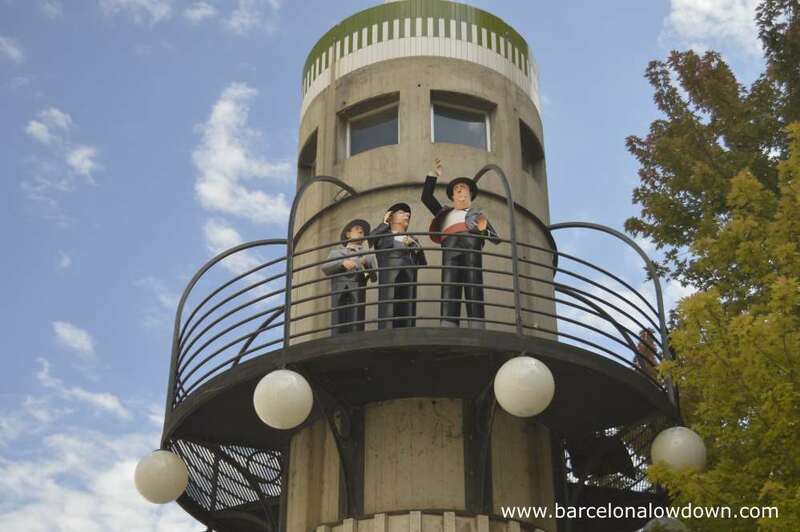 Most trains depart from Barcelona Sants except for Rodalies trains which start from the Estació de França. 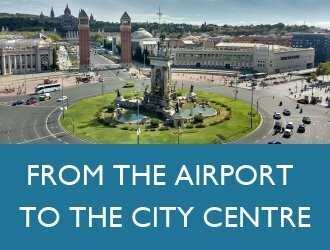 ALSA runs several buses daily from the Estació del Nord bus station. The trip takes a little over 2 hours and costs €21. Web Tip: Just after leaving Barcelona the motorway passes Montserrat Mountain. To get the best views, try and get a seat on the right hand side of the bus. It takes approximately 2 hours to drive to Lleida via the E90 toll motorway. Alternatively you can take the A2 which takes slightly longer but saves you €19 in tolls. I was surprised to find that Lleida has an open top Hop-on Hop-off city tour bus. 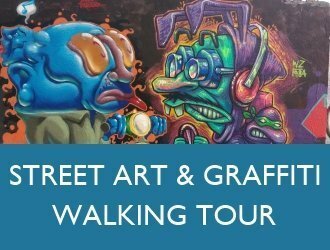 To be honest it’s not really that great since the town centre is pedestrianised and the tour spends most of the time in the suburbs. The thing that makes the tour worthwhile is that it stops at Gardeny Castle and entry to the castle is included in the ticket. The bus only costs €1.20 and the ticket to visit the castle normally costs €2.60! Buses pass every hour which is just enough time to take the audiovisual tour and visit the castle. Please make sure you check the timetable because the buses only run in the summer and timings vary. Zoom in to see the places mentioned above. Trains are considerably cheaper than the 42.60 you mention if you book in advance and / or take the Avant – which is about ten minutes slower than the AVE. 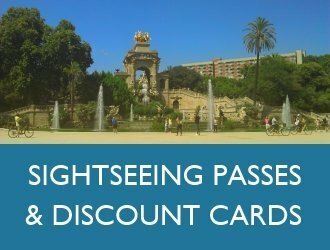 The ticket includes a suburban train transfer (cercanias / rodalies). If you are a group of three or four then the cheapest ticket may well be a “Mesa” (table) for four. This can be as little as 11.75 euros per person. Worth noting as well that if you travel “Preferente” (first class) on the AVE the ticket includes a meal or snack. Depending on time of day, that can be a full three course dinner with wine, coffee, etc. With a “Mesa” ticket that can be had for 28.70 euros. Thanks for reading and for your very helpful comment. I really need to get my act together and start booking my train tickets in advance!